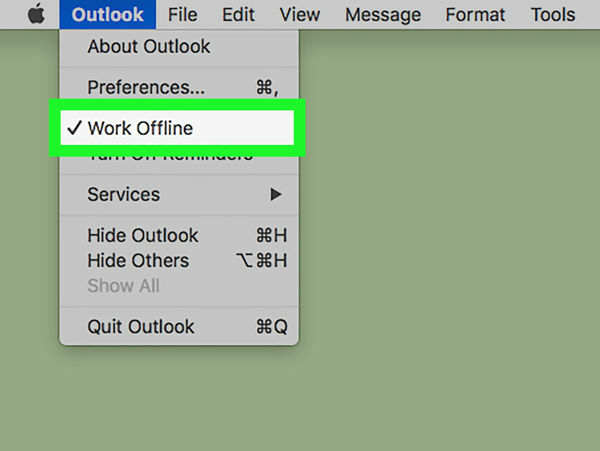 This wikiHow teaches you how to turn off the "Work Offline" feature of the Microsoft Outlook desktop program. 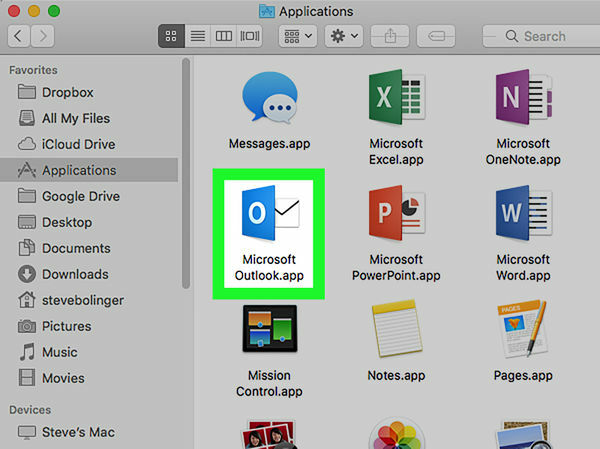 Click or double-click the Outlook app icon, which resembles a white "O" on a dark-blue box. 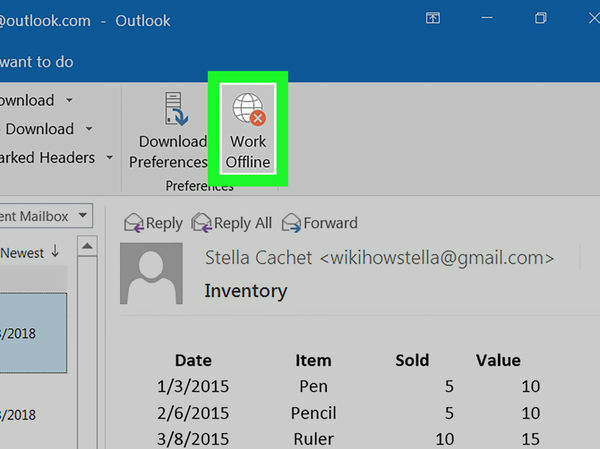 There are a couple of signs that Outlook is currently in "Work Offline" mode: A "Working Offline" box will appear in the lower-right side of the Outlook window. 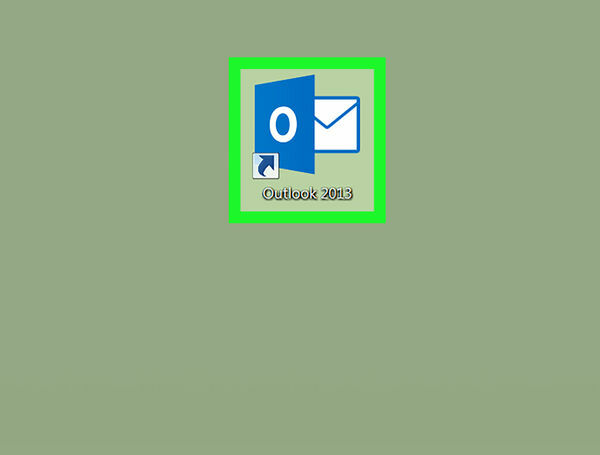 A white "X" on a red circle will appear on the Outlook app icon in the taskbar (Windows only). 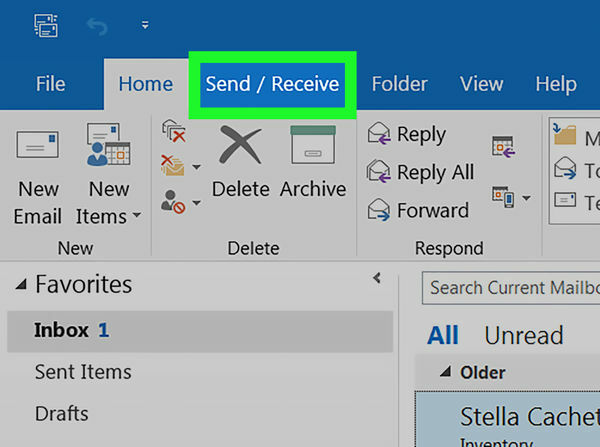 It's in the blue banner at the top of the Outlook window. A toolbar will appear at the top of the window. This option is on the far-right side of the Send / Receive toolbar. If the button is active, the background of the button will be dark-grey. If the background isn't dark-grey, "Work Offline" isn't enabled. It's in the far-right corner of the toolbar. If the button wasn't active, try clicking it twice—once to active "Work Offline" mode and once to disable it—before proceeding. 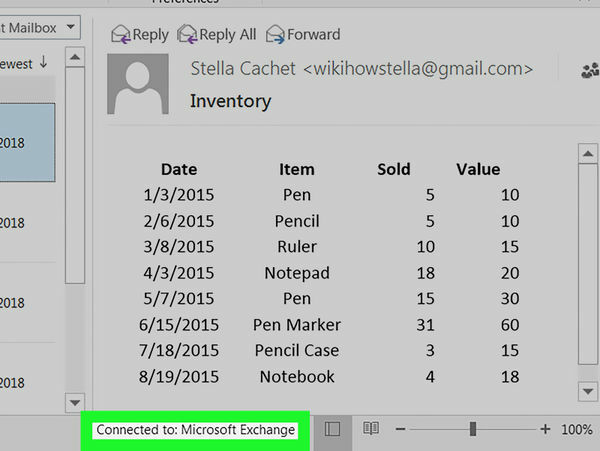 Once this tag disappears from the bottom-right side of the window, Outlook should be online. You may have to enable and then disable the "Work Offline" feature again a few times before "Work Offline" will turn off. It's in the menu bar at the top of the screen. This opens a drop-down menu. It's the third option in the drop-down menu. 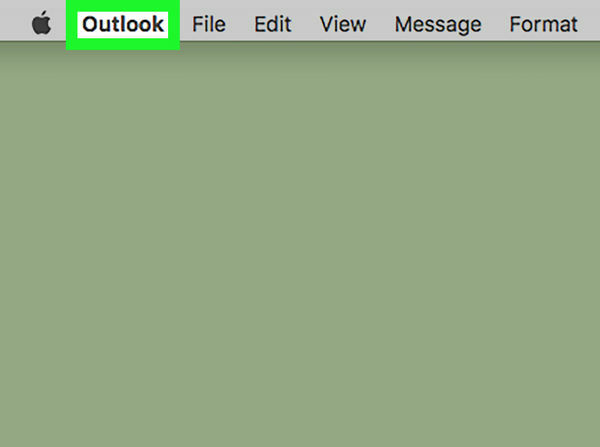 When Outlook is in offline mode, you'll see a checkmark next to "Work Offline" in the main Outlook drop-down menu. 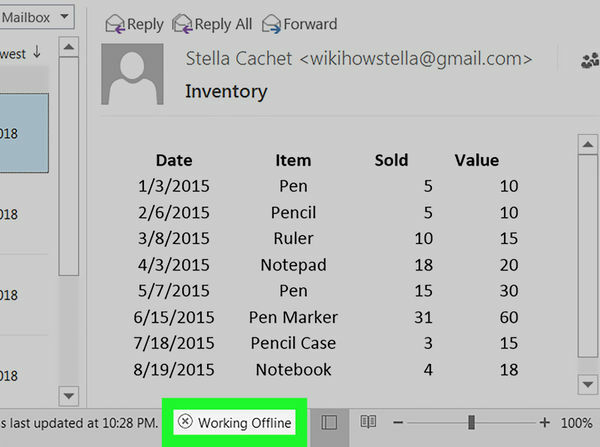 To disable the offline mode, make sure there is no longer a checkmark next to "Work Offline" in the main Outlook drop-down menu.